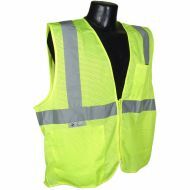 Radians SV62-2ZGT Class 2 Heavy Duty Surveyor's Vest, Zippered, Hi-Viz Lime Green, Solid Twill. 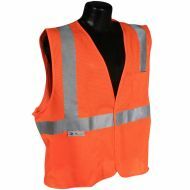 Radians SV62-2ZOT Class 2 Heavy Duty Surveyor's Vest, Zippered, Hi-Viz Orange, Solid Twill. 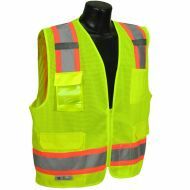 Radians SV6-2ZGM Class 2 Surveyor's Vest, Two-Tone, Zippered, Hi-Viz Lime Green, Mesh. 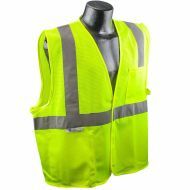 Radians SV2GM Class 2 Safety Vest with Hook & Loop Closure, Hi-Viz Lime Green, Mesh. 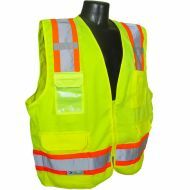 Radians SV2ZGM Class 2 Safety Vest with Zippered Closure, Hi-Viz Lime Green, Mesh. 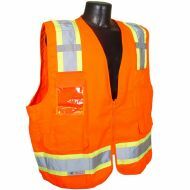 Radians SV2OM Class 2 Safety Vest with Hook & Loop Closure, Hi-Viz Orange, Mesh.